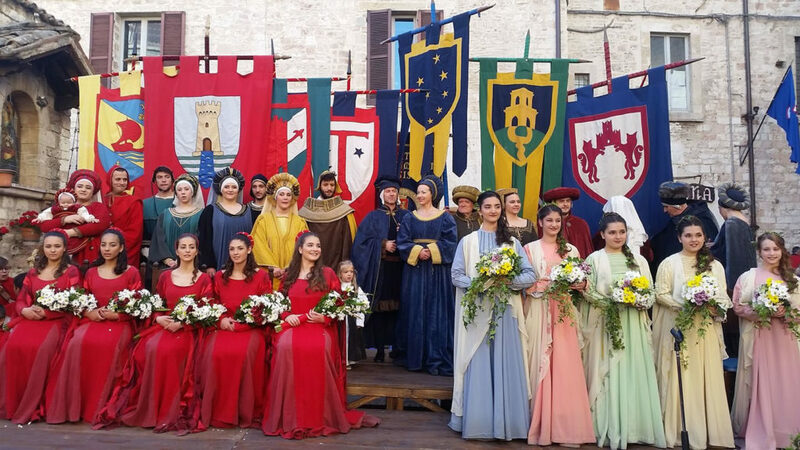 Calendimaggio of Assisi remains today one of the few events that adhere strictly to medieval history; it is celebrated by the people of Assisi with an intense interest and it is not the usual event for tourists. Everything is focused on the friendly duel between local residents in the higher and the lower part of city. 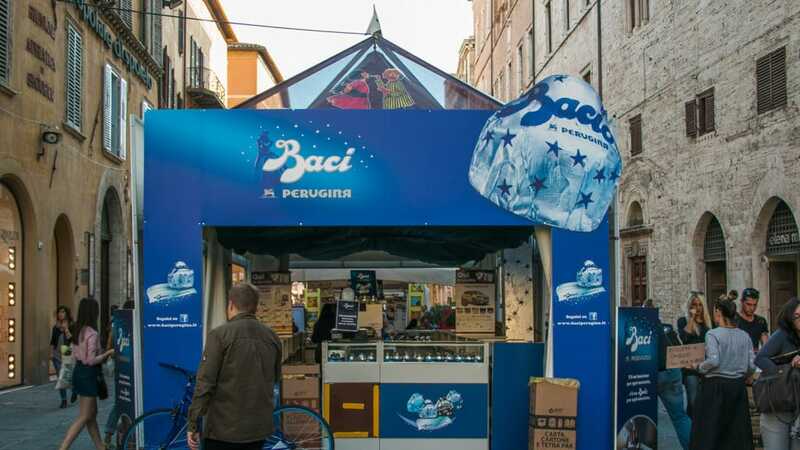 The italian and international chocolate traditions are the real protagonists, with laboratories and food stands of chocolate producers that are set up during the manifestation; moreover, for each edition, many themed events, tasting tours, shows, cultural events… animate and involve the streets and the squares of the historic center of the Umbrian capital city. 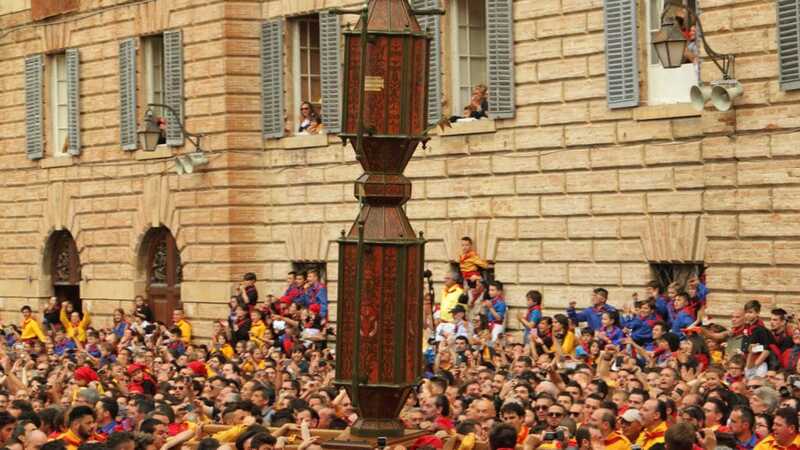 All the city of Gubbio will participate to this feast, young and old will be gathered in the main square, and they will dress the colours of their “ceraioli”: yellow for the Saint Ubaldo’s candle, blue for Saint Giorgio’s candle and black for Saint Antonio’s candle. The streets of the city will be also full of flags and banners with the symbols of the saints. The Spoleto Festival was born in 1958 by the impetus of the composer Maestro Gian Carlo Menotti and his vision: to join two cultures and two artistic worlds, (hence the name) very different at that time, the European one and the American one, dedicating the manifestation to the art in all its forms and expressions. Il Palio delle Barche rievoca l’ultimo atto delle ostilità tra le nobili famiglie perugine dei Baglioni e degli Oddi, una sanguinosa battaglia che vide nel 1495 Passignano al centro delle operazioni militari, quando, un piccolo esercito della famiglia Oddi dovette fuggire, barche in spalla, dal castello, inseguito dalle milizie dei Baglioni e dei Della Corgna. 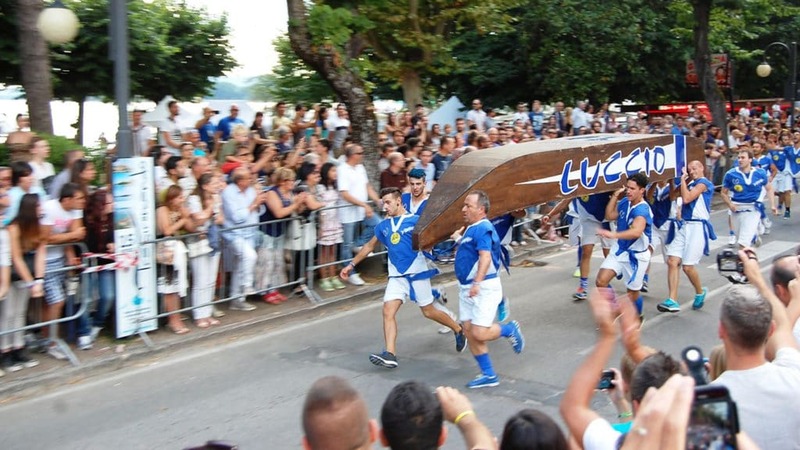 THE BIGGER AND MOST FAMOUS FESTIVAL OF THE UMBRIA! 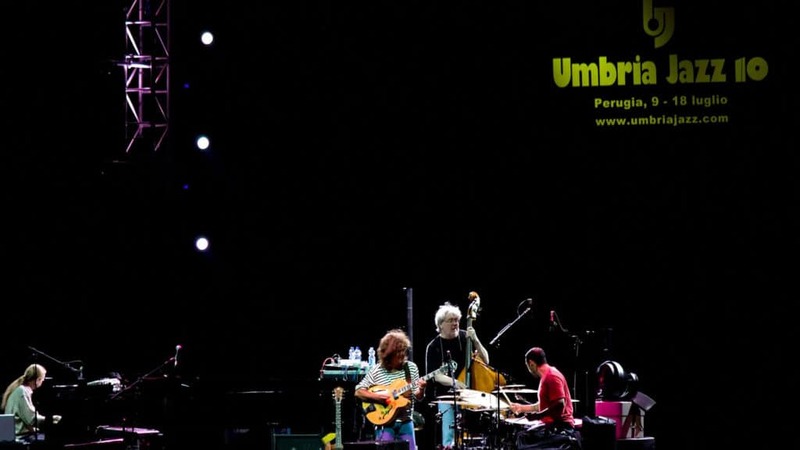 Umbria Jazz is a ten days festival organized during the month of July, in which Perugia devotes itself and embraces the best of the Italian and International Jazz and not only. 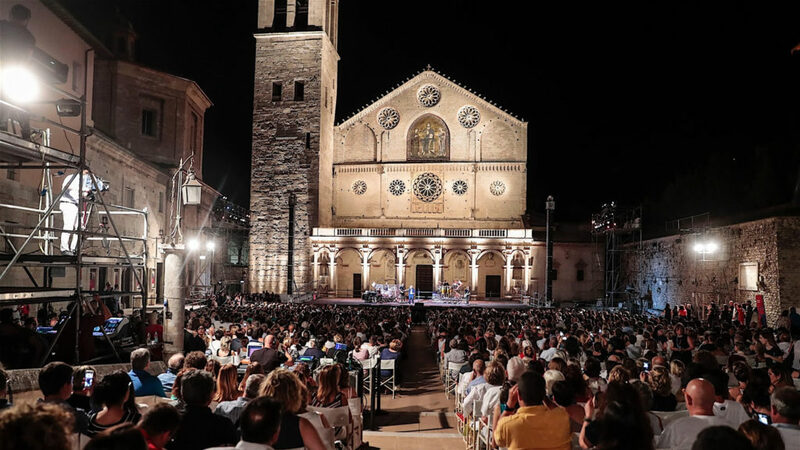 The heart of Perugia for 10 days becomes a global musical village, where every hour you listen to notes between the medieval buildings and squares. A real godsend for fans of good music. And not just for them.